WELCOME TO THE MONTEREY JUNIOR LIFEGUARD WEBSITE. We are looking forward to another amazing summer at the beach. This year (2019) Junior Guards Session 1 will begin on June 10th and Session 2 will begin July 8th. DUE TO TECHNICAL DIFFICULTIES, Signups will begin at 8am on Sunday, April 7th. This will be done once again through the Reserve California system. If you are not familiar with this new system please visit our website at ReserveCalifornia.com and create a "parent profile" if you plan on signing your child up for Junior Guards this summer. Creating a profile is the first step in the signup process and can be done at anytime. Please refer to our 'Signup' link for further instructions in this process. We will have much more information coming soon, so please stay tuned. We hope everyone is having a great start to the year and we look forward to seeing everyone out on the beach again this summer! This unique program gives local youth in Monterey County the opportunity to receive instruction and practice in ocean safety awareness skills, paddle boarding, body surfing, surfing, snorkeling, calisthenics, self rescue and more! We will also have field trips during each session of the program. 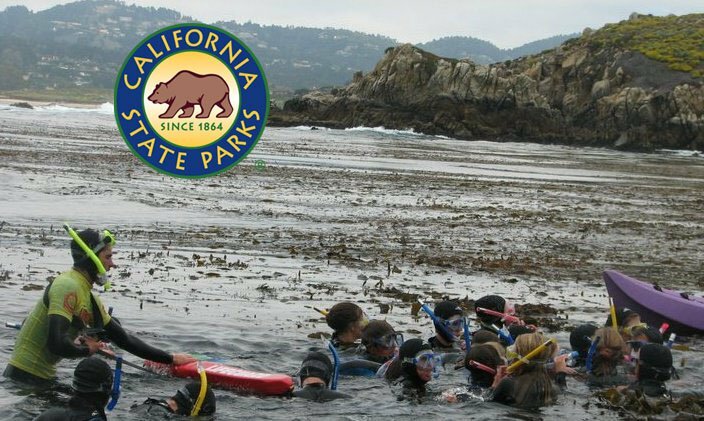 Some of the fields trips include days at Point Lobos State Reserve, Lovers Point picnic area, Santa Cruz JG competition, and Asilomar State Beach. This program gives young men and women the opportunity to be in top physical condition as well as develop ocean awareness skills not only for their own benefit, but also for the long term maitnenance and preservation of the ocean environment. WHEN: Monday through Friday 9:00 a.m. to 2:00 p.m.